Alex Parker, Ph.D., has joined the University of Florida College of Medicine – Jacksonville as the new senior associate dean for research. His first day was Oct. 1. Parker earned his Ph.D. in epidemiology at the University of Iowa and performed postdoctoral studies at Mayo Clinic Rochester from 2000 to 2003. He was appointed as an assistant professor at Mayo Clinic Jacksonville in 2003 and remained there until accepting this position. Over the past 10 years, Parker took on increased leadership roles at Mayo Clinic. His most recent positions included professor of epidemiology and urology, vice chair of health sciences research, associate director of the Center for Individualized Medicine, associate medical director of development and co-program leader for genetic epidemiology. Parker is an outstanding scientist and an expert in the molecular epidemiology of renal cell carcinoma. He has presented his work widely and has published more than 100 papers, many in high-impact journals. His work has led to important practice changes, particularly around prognostic markers for the management of patients undergoing resection for renal cell carcinoma. His research has been supported by extramural funding from the National Cancer Institute, the Department of Defense and the James and Esther King Biomedical Research Program. We are excited to welcome Parker, who will facilitate, mentor and further expand and develop new research programs at UF COMJ. 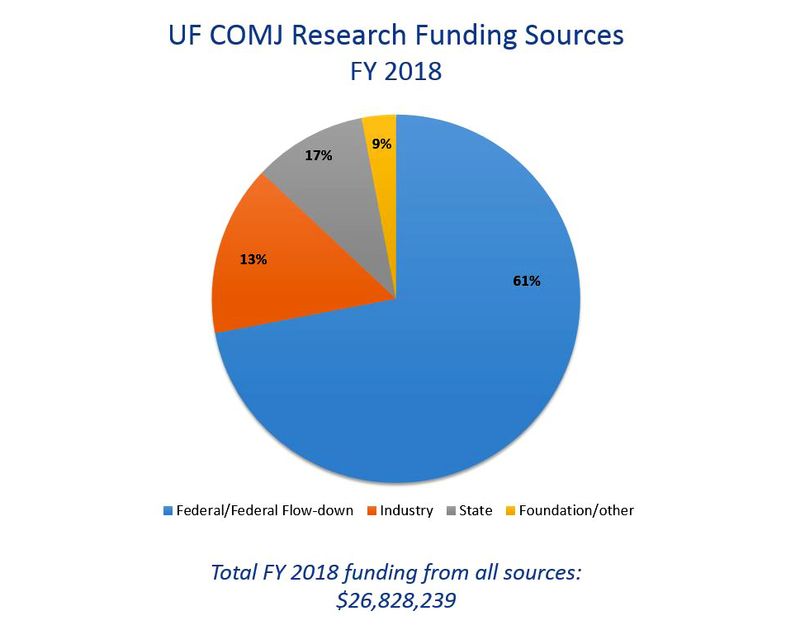 In terms of research funding, UF COMJ enjoyed a fruitful year in 2017-18. The college received $26.8 million in externally sponsored awards, a 25 percent increase over the previous fiscal year. Funding from federal and federal flow-down awards accounted for 61 percent of all funding. UF COMJ ranks third among the university’s health colleges for fiscal year 2018 funding and sixth among all UF colleges. Over the past five years, UF COMJ has increased extramural sponsored programs funding by 119 percent. The following chart gives a breakdown of the college’s various research funding sources for 2017-18. The Jacksonville Aging Studies Center, or JAX-ASCENT, will soon begin screening for its first industry-sponsored clinical trial, which focuses on sarcopenia in people 65 and older. This double-blind, randomized control trial will test the safety and efficacy of a novel treatment for muscle mass loss over 26 weeks, test improvement of physical function and estimate the decreased risk of mobility disability. Patients will undergo several screenings and examinations, including a timed walking test, a body mass measurement and a knee-extension test. A JAX-ASCENT staff member guides a patient volunteer through his physical assessment. People 60 and older are encouraged to join the center's patient registry. JAX-ASCENT will also begin two pilot projects awarded to junior scholars. Michael Pizzi, D.O., Ph.D., an assistant professor of neurology, and Sophia Sheikh, M.D., an assistant professor of emergency medicine, were chosen as the center’s inaugural junior scholar recipients. Pizzi’s project — “Biochemical and Radiographic Characterization of Blood Brain Barrier (BBB) Degradation of Ischemic Stroke Patients” — aims to measure the association between inflammatory cytokines, BBB-degrading enzymes and BBB degradation products in the serum of ischemic stroke patients. Sheikh’s project — “Development of a Risk-Prediction Screening Tool for Opioid-Prescription Injury (STOP Injury) in Older Adults Initiated on Opioids from the Emergency Department” — seeks to gather data to aid in the development of an innovative tool and evaluate additional predictive factors and important outcomes relevant to prescription opioids. Rosemarie Fernandez, M.D., an associate professor of emergency medicine, has received a $1.7 million award from the Department of Defense. 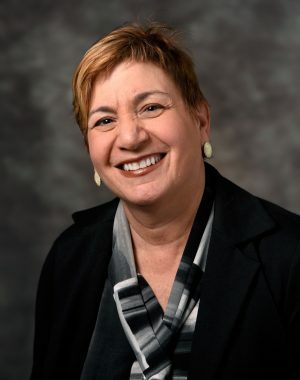 Her project is titled “Translating Military Simulation-Based Trauma Team Research Into Outcomes: LEADing Effective Resuscitations (LEADER).” The overall aim is to improve trauma outcomes by developing, testing and refining a simulation-based translational research model that can support highly effective trauma team leadership training and assessments across multiple outcome levels. This project will complement Fernandez’s research into better understanding how medical teams interact with patients and their environment to effectively deliver care. The strategic plan supports interprofessional collaborative research addressing complex clinical care, interprofessional education and training programs, research-intensive simulation and clinical programs. Personnel from UF COMJ, the College of Nursing, the College of Pharmacy and UF Health Jacksonville collaborated to form the Interprofessional Working Group. 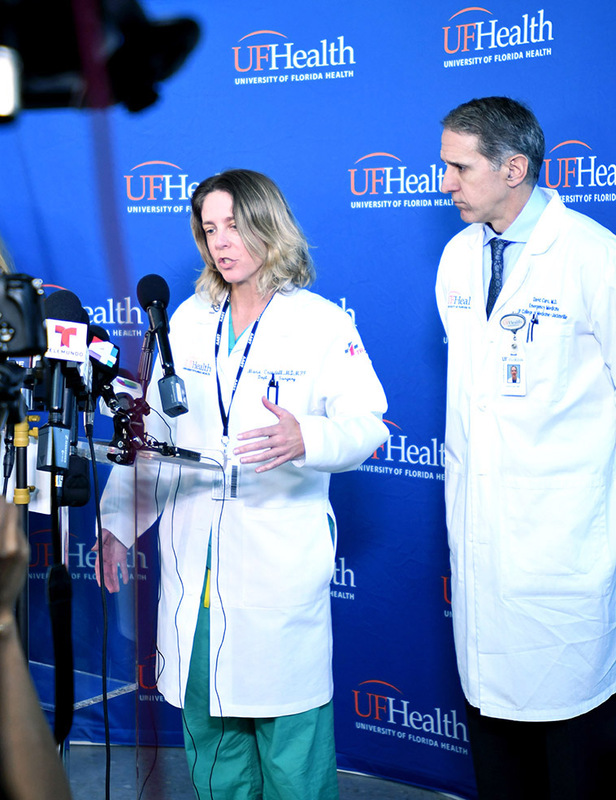 Its first agenda item is to inventory current or anticipated research, educational initiatives, training exercises or quality improvement initiatives that involve stakeholders from the hospital and at least two of the UF colleges on campus. UF held its annual Institutional Review Board educational retreat in August. The function included many representatives from the Jacksonville IRB (IRB-03). With the implementation of the Federal Policy for the Protection of Human Subjects, or “Common Rule,” IRBs will be revising some of their policies and procedures. These changes could impact expedited studies, continued review of approved studies, exemptions, informed consents, reporting requirements and other related items. IRB-03 is working through these anticipated changes and will provide further information in the coming weeks.